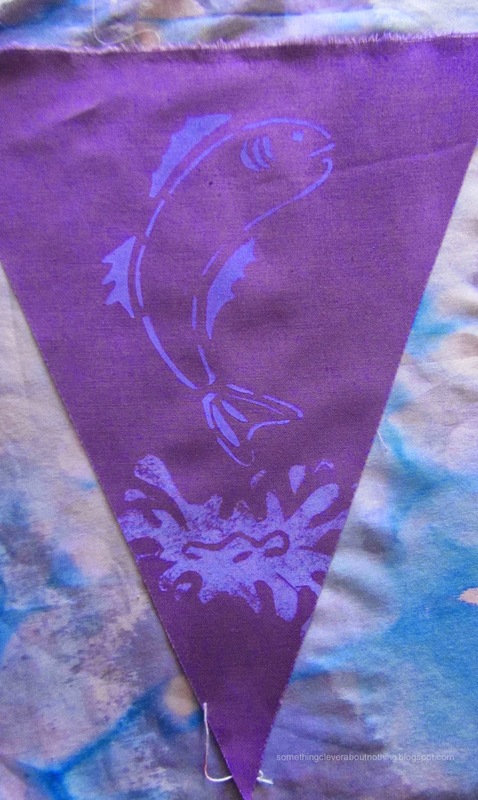 I needed an image for some Prayer Flags I am making and decided to carve a fish stamp as that is a favorite activity of the person these flags are about. 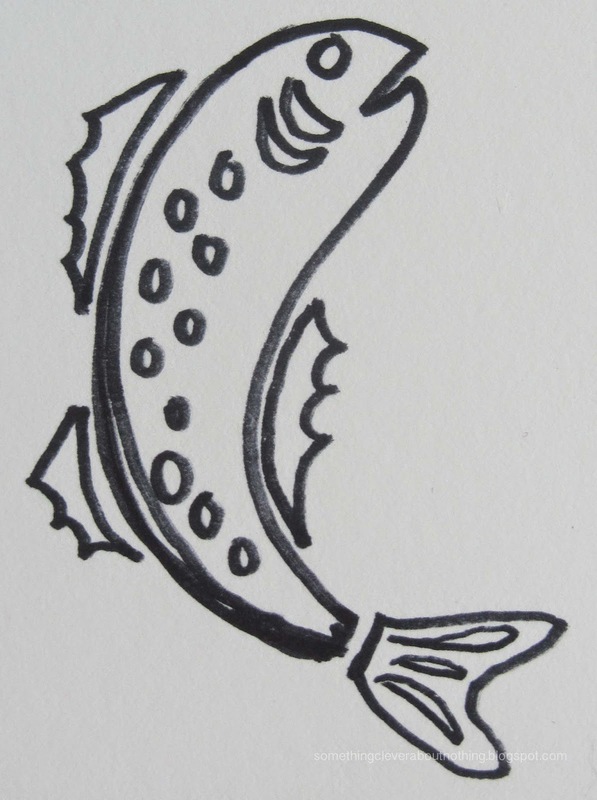 After drawing the fish, I traced him with a graphite pencil so that I could rub the drawing onto the Eco Karve. . . .and then two fish. . .
All of the words on this set of flags are from a stencil I created with my Silhouette Portrait. 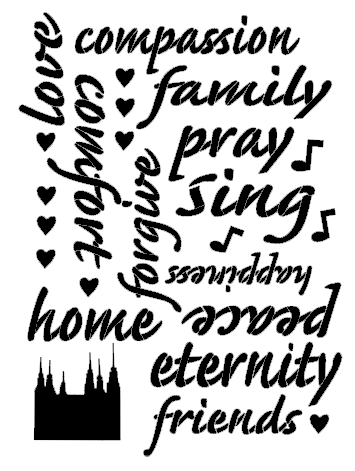 You are welcome to download the Words of Comfort stencil jpg and use it however you need. Email me if you need a better quality image or you would like a copy of the studio image for Silhouette. 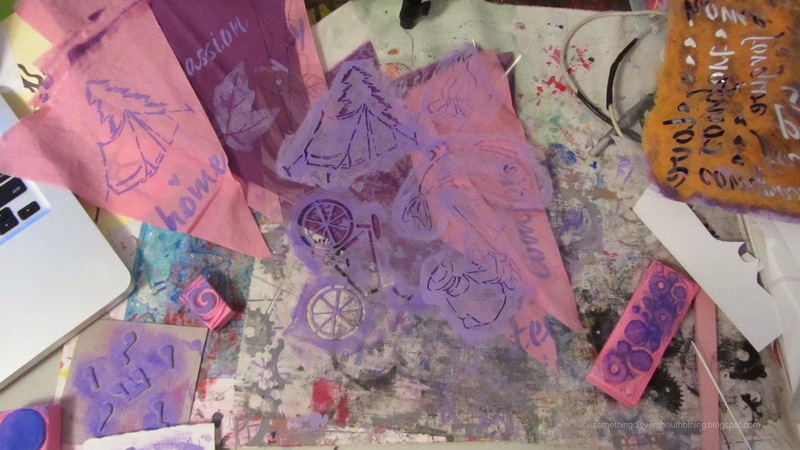 I needed more images than just the words and stamps for this set of prayer flags and so I created an outdoor stencil using the fish image as well as my drawings of a tent, a campfire, a grandpa and grandson fishing and a bicycle. 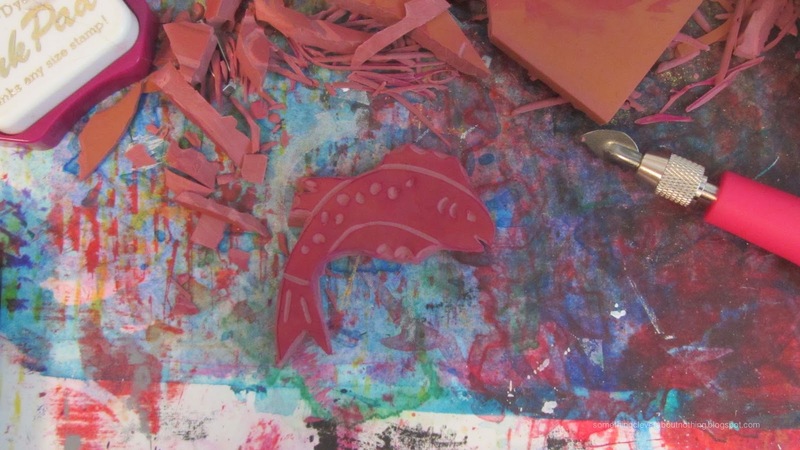 Stencil Fish with my water stamp. 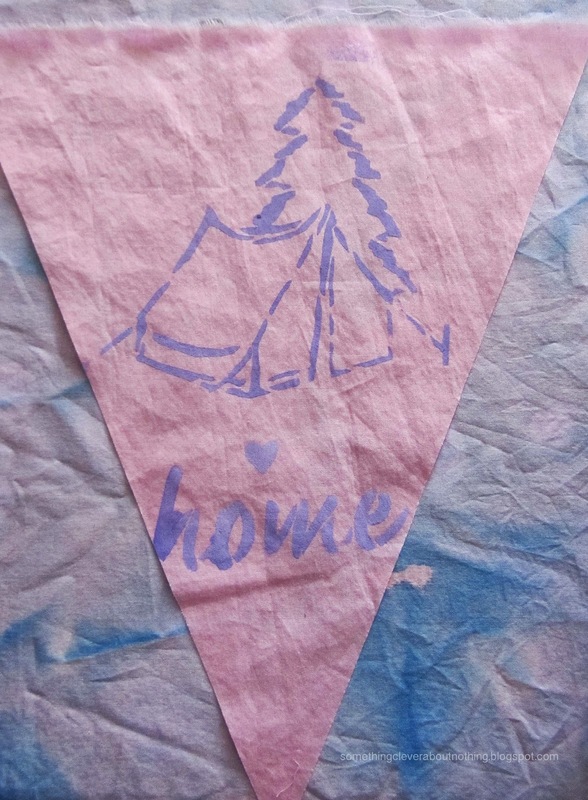 I think this tent and tree are one of my favorite images in this stencil set. 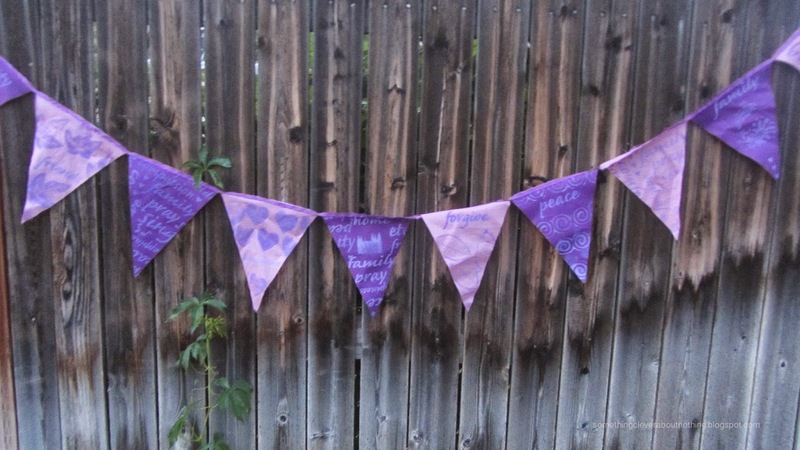 I created two other sets of flags but forgot to photograph them before I passed the flags along. 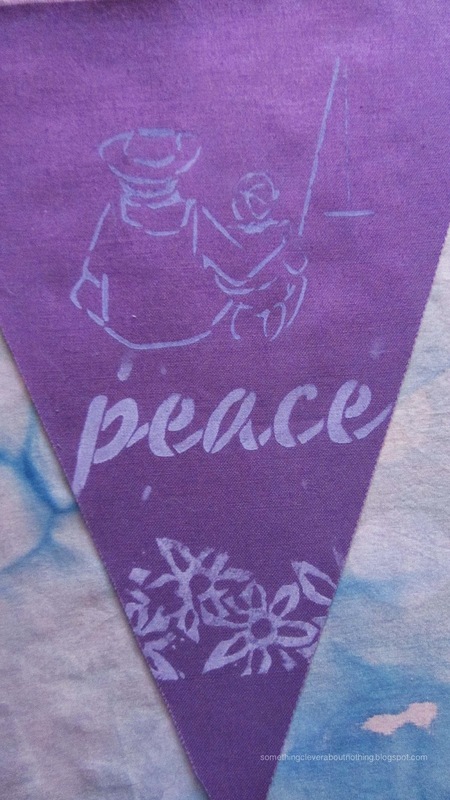 If you love prayer flags please come join me over at The Prayer Flag Project where I am the new blog administrator. I just love all of the flags people share over there! 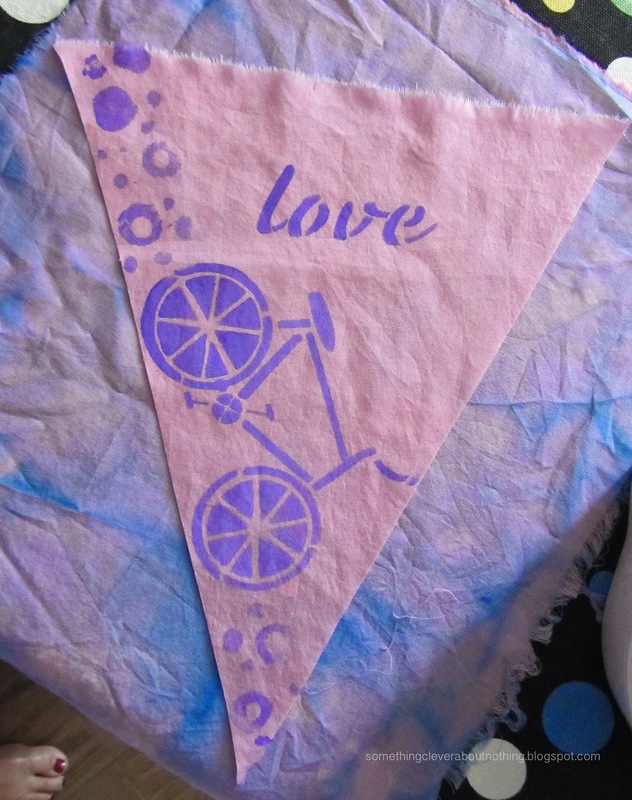 It is heart warming to read the reasons people have created their flags and to see how they have created their flags. They are made with love and soul. Wonderful Lisa! 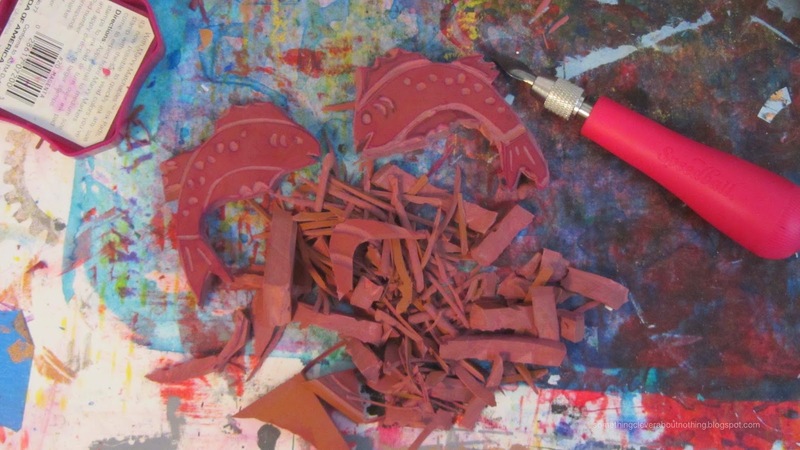 What great stamps and a beautiful project! They are beautiful and will be a comfort as well as a reminder of friendship. Wonderful! You are so kind to people, I admire that about you. 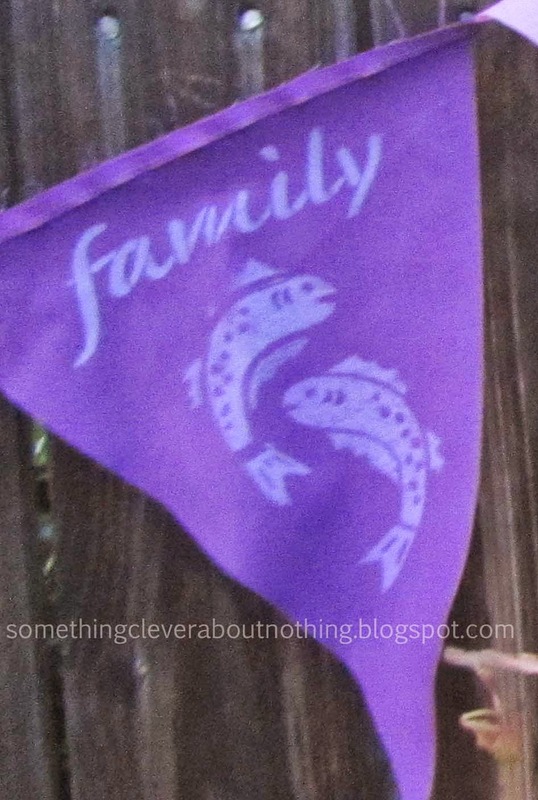 I love the fish stamp, I think that you need to let me borrow it so I can make some Pieces fabric! These flags were so beautiful. They were so gorgeous and very comforting.